at ARTVILNIUS’15 A selection of works out of VIDEONALE.15‘s exhibition programme will be presented at ARTVILNIUS’15 (June 25-28 2015) in Vilnius, Lithuania. at ARTEMOVENDO Porto Alegre und São Paulo, Brasilien Im Juli 2015 wird eine Auswahl von Werken der VIDEONALE.15 ebenfalls in Brasilien im Rahmen des Projektes ARTEMOVENDO zu sehen sein. Die erste Ausgabe von ARTEMOVENDO findet 2015 gleichzeitig in Porto Alegre und in São Paulo unter dem Titel „The Hidden Soul of the Unanimated“ statt. In Porto Alegre werden installative und Single-Channel-Arbeiten in den Ausstellungsräumen der Stadt (Paço Municipal, Galerie Iberê Camargo und Sala P.F.Gastal in der Usina do Gasômetro) sowie in der Galerie des Goethe-Instituts gezeigt. Für São Paulo werden drei Programme mit Single-Channel-Projektionen im Auditorium des Goethe-Instituts präsentiert, begleitet von Panels mit beiden Kuratoren und einzelnen Künstlern. In Kooperation mit der Videokunstplattform www.blinkvideo.de (Anita Beckers, Julia Sökeland) werden die in den Ausstellungen und in den Screening-Programmen gezeigten Filme auch im Internet zu sehen sein. at Athens Digital Arts Festival As part of the programme of this years’ Athens Digital Arts Festival a selection of video works of VIDEONALE.15 will be presented on May 24, 2015 in Athens, Greece. Athens Digital Arts Festival (ADAF) is an International Festival which celebrates digital culture through an annual gathering bringing together a global community of artists and audiences. Athens Digital Arts Festival aims to encourage, stimulate and promote all aspects of digital creativity by hosting local as well as international artists and communities. Through its multidisciplinary program Athens Digital Arts Festival offers a wide range of Exhibitions, Screenings, Live Performances, Workshops and International Tributes showcasing artworks that display distinctive characteristics of the digital medium and reflects on its language and aesthetics. Athens Video Art Festival was founded in 2005 with the intention to offer a platform to video art, installations and live performances. Within the following 10 years, the Festival gradually evolved and included more art forms, such as web art, interactive installations, animation, digital image, performances, applications and workshops, exploring creative aspects of technology and digital culture. In 2012, the Festival introduced the subtitle “International Festival of Digital Arts & New Media” in order to communicate the wide spectrum of its activities and events. 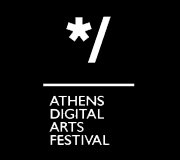 As of January 2015, the Festival changed its name into Athens Digital Arts Festival.